CHAiOS SYNTH 2 is a synthesizer/melody generator that creates unique melodies with just one tap! 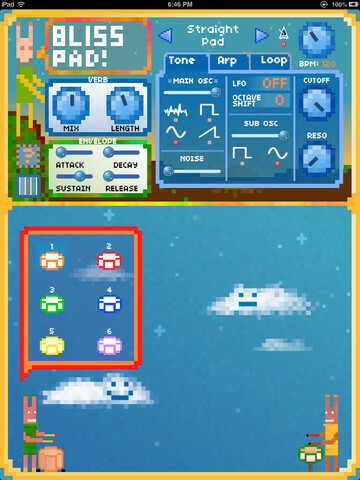 Place your finger on the main screen and a melody is generated by the CHAiOS algorithm. If this melody sounds good, it can be looped and the sound can be tweaked using a number of parameters and effects. Or just swipe your finger and CHAiOS SYNTH 2 creates new melodies. 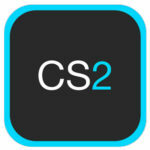 CHAiOS SYNTH 2 is a further development of the free and easy-to-use CHAiOS SYNTH, which was formerly developed at the University of Applied Sciences Duesseldorf. The new version is beefed up by a number of new features and improvements. Now CHAiOS SYNTH 2 has become a full professional synthesizer while staying as intuitive and uncomplicated as its predecessor. 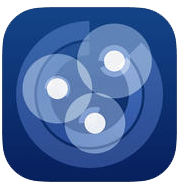 With support for Inter-App Audio and Audiobus CHAiOS SYNTH 2 can be used together with other audio apps on iPad. Introducing the new feature “SETS”: It’s a very easy and convenient way to store your sounds, loops and beats in up to eight sets. Use “SETS” to come back to the sounds you’ve created even after restarting CHAiOS SYNTH 2 or save different parts of your song and switch between them even while playing! Sonic Zoom is a PhD research project from Queen Mary University. 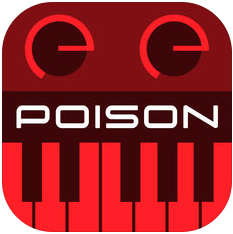 The app aims to look at how people interact with music synthesisers: how they adjust parameters and explore the vast range of sounds on offer. 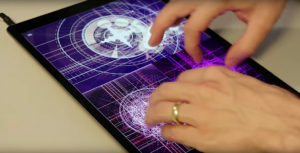 There are two interfaces presented. The first is fairly standard: ten sliders that control each parameter. 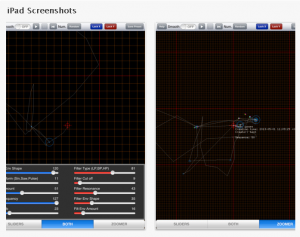 The second is more novel: a two-dimensional surface that can be scrolled and zoomed similar to a map. Every sound that can be made with the synth is located somewhere on this surface. If you find a sound you like, you can zoom in on it to explore smaller variations. You can save a sound and this will drop a marker on the surface. These markers are easy to revisit and can be smoothly interpolated between. Your path through the sound space is visible, so you can retrace your steps. The first 15 minutes is a timed experiment. Users will then be asked to complete a quick questionnaire. 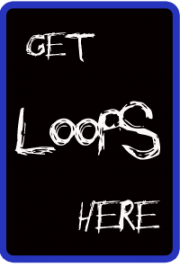 After this you are free to use the app, and a few extra features will be unlocked as a reward. 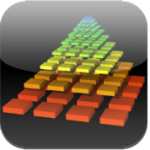 Bliss Pad is a fun and simple three voice synthesizer with an easy to navigate, colorful interface. Customize your sounds with the tone editor then play and loop them. 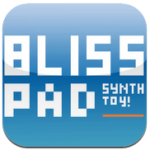 Bliss pad is designed to be satisfying no matter your level of musical knowhow. Added provisional support for Audiobus.